Provide competitive rates on landscaping project supply. Skilled and knowledgeable staff with a wealth of experience to ensure success in your gardening endeavors. Can source the rare and unusual. 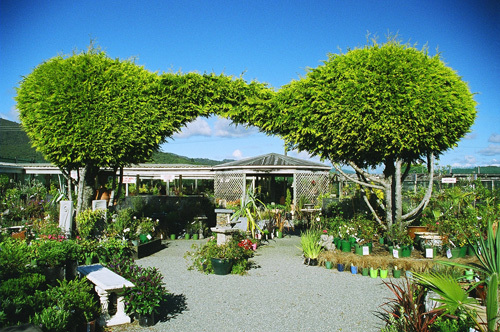 At Greymouth Nurseries you will find an amazingly diverse array of both exotic and native plants. From hardy natives to exotic trees and shrubs, these plants are supplied to you in a range of sizes to suit any situation. Come on in and enjoy the pleasure of strolling and shopping amongst the colours and textures of nature. Our passionate team has a wealth of practical knowledge to assist in ensuring successful and enjoyable gardening. We can supply bulk landscaping products from composts and screen topsoil to decorative barks and lime chips. We have the knowledge to support you in selecting the best landscaping products for your gardening space. Open 7 days a week with easy access and plenty of parking. We can also courier any purchases nationwide. We look forward to your visit and if you are unable to come to us you can simply contact us online. We are please to announce our Customer rebate and reward system for our clients. Come join the Greymouth Nurseries Gardening family and reap the rewards. The Management and Staff will make you Welcome!